Frederick Ahl and Hanna M. Roisman believe that contemporary readers who do not know ancient Greek can gain a sophisticated grasp of the Odyssey if they are aware of some of the issues that intrigue and puzzle the experts. They offer a challenging new reading of the epic that is directed to the general student of literature as well as to the classicist.Ahl and Roisman suggest that, while translato… rs have served the Odyssey and its English-speaking readers remarkably well, the nonspecialist wishing to do a more detailed, critical reading of the epic faces a dilemma. 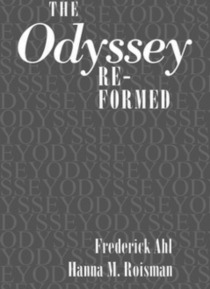 The enormous scholarly literature makes few concessions to the nonspecialist, and those studies designed for general readers tend to offer variations on the overly simple, idealized readings of the epic common in high school and college survey courses.The Odyssey Re-Formed offers a lively and detailed reading of the Odyssey, episode by episode, with particular attention paid to the manipulative power of its language and Homer's skill in using that power. The authors explore how myth is shaped for specific, rhetorical reasons and suggest ways in which the epic uses its audience's awareness of the varied pool of mythic traditions to give the Odyssey remarkable and subtle resonances that have profound poetic power.